Myrina. 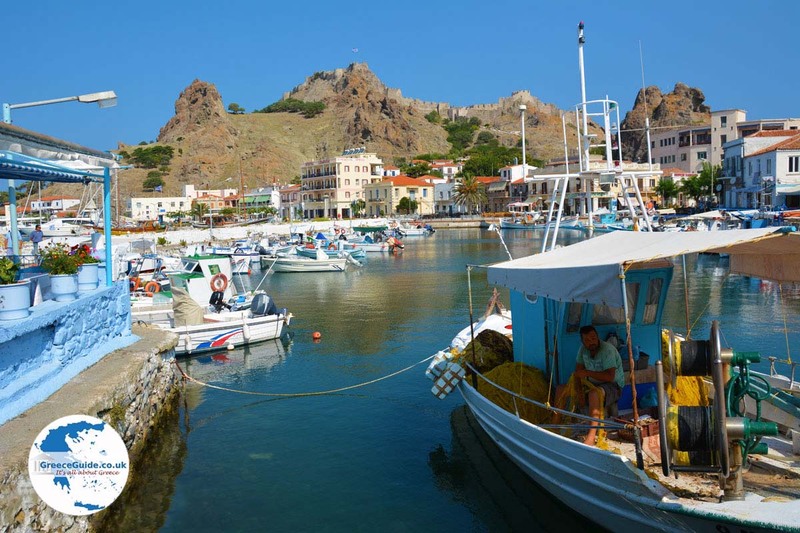 Myrina is in the southwest of the Greek island of Lemnos located, it is the capital of the island. The area where today Myrina lies, is inhabited since prehistoric times. Myrina was according to Greek mythology, the woman of the first king of Lemnos, Thoas. 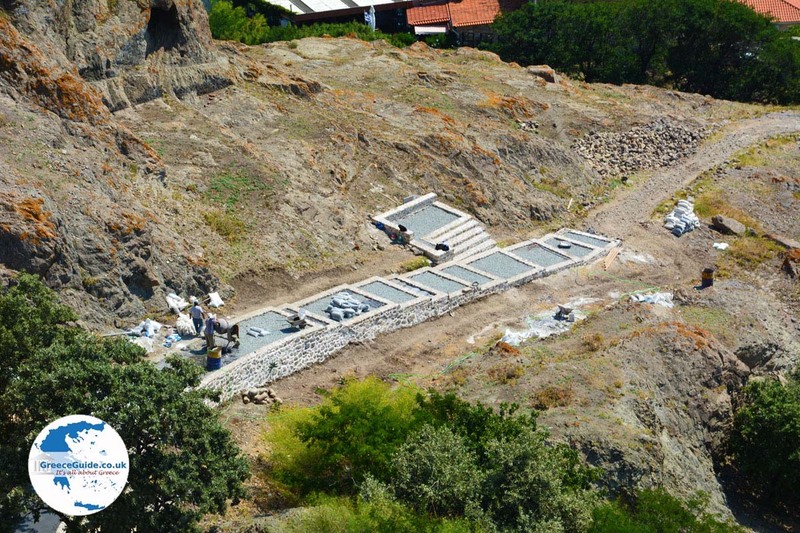 When you are in Myrina, you first see the imposing high rock between the two bays with the impressive fortress on top. 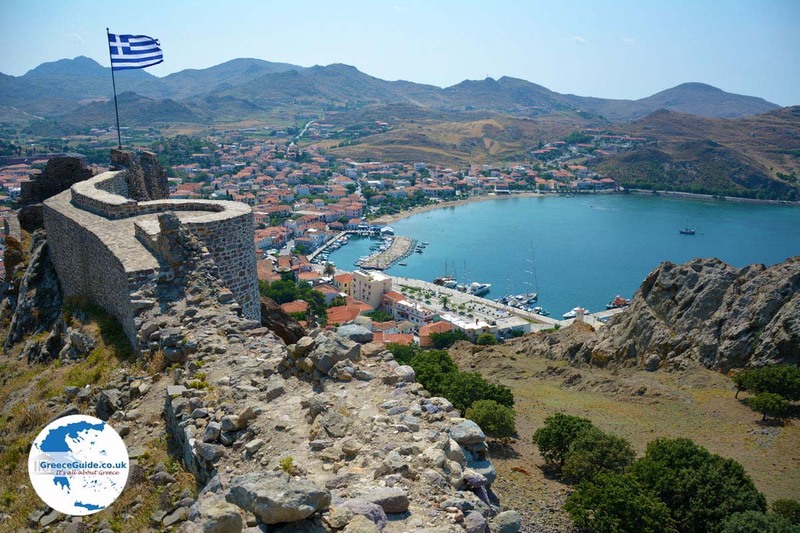 This fort is one of the largest fortresses in Greece, it was built around the year 1180 by the Byzantine Emperor Andronikos Komninos. 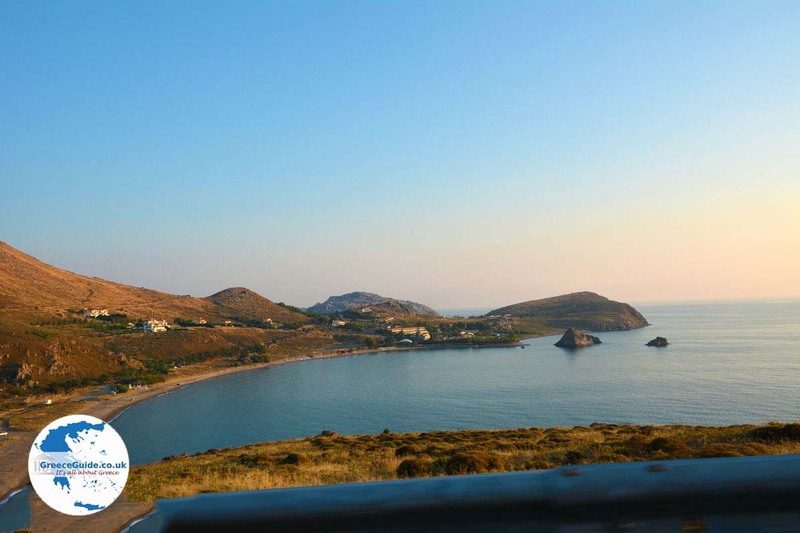 The bay to the right of the rock, the larger bay, is called the Roman bay (Romeikos Gialos). Here are many neoclassical buildings, dating from the early 20th century. Next to the sea is a promenade, where many restaurants and bars are and a beautiful sandy beach which also has facilities for the disabled. A few hundred meters away, in the next bay is the beautiful sandy beach 'Richa Nerá'. 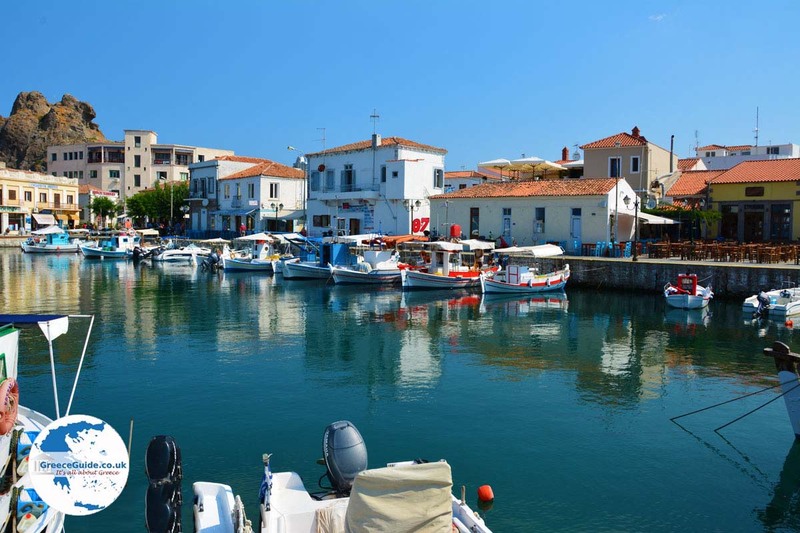 Richa Nera literally means "shallow water" and that's right, because the sea here is very shallow, ideal for families with young children. This beach is very popular among young and old. On the right you see the imposing and beautiful rocks, behind the beach and even on the beach are trees everywhere. Beach Bars and restaurants are literally under the shadow of the trees. On the other side of Myrina, the bay on the left side of the fort, the Greeks call this "Mikros Gialos" (meaning 'little beach') or Tourkikos Gialos (Turkish beach). 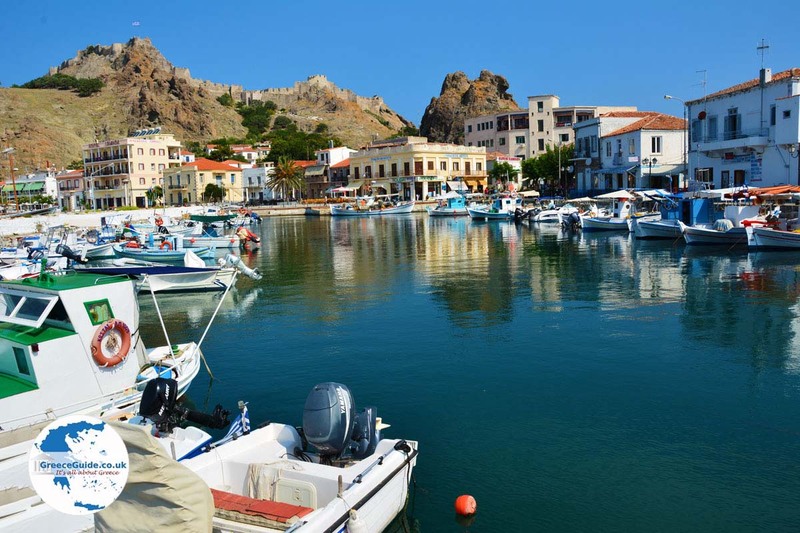 Here is the harbour and the fishing port of Myrina located. 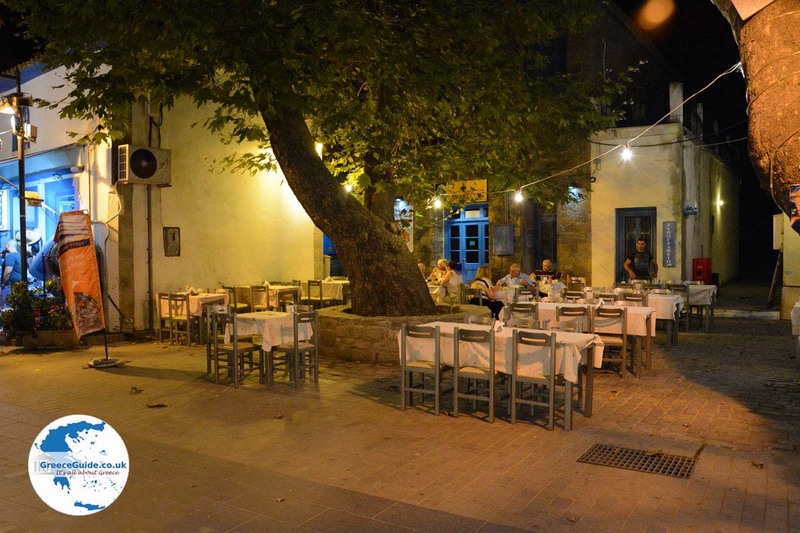 You see everywhere typical Greek tavernas, fish restaurants, cafes, shops and modern cafes, pita-gyros shops and bars. 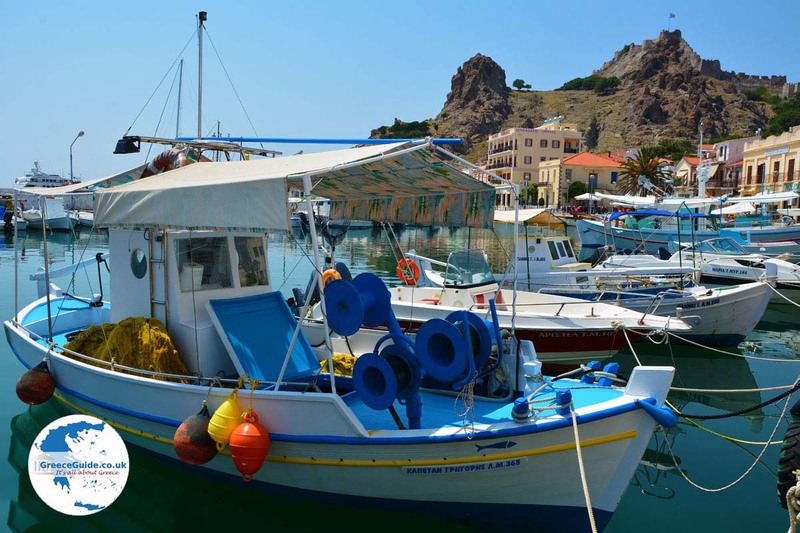 Behind the small fishing port, is the beach of Mikros Gialos. A walk through Myrina is very pleasant. 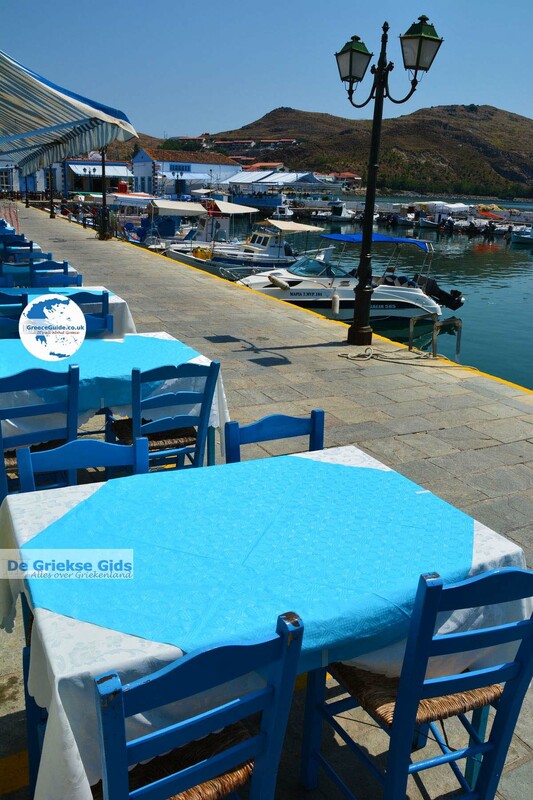 From the port there is a shopping street to the other side of town, near Megalos Gialos. 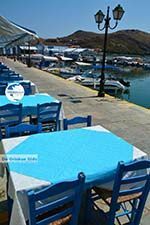 In this picturesque shopping street are souvenir shops, jewellery shops, tavernas, bars and all kinds of shops where local products are sold. An excellent panoramic view of the city, the bays and the sea can be had from the top of the fort. You can climb the fort on two sides. We encourage you to put on good shoes because the paths to the fort are not always passable. Once at the top you will be rewarded with astonishing views! The Byzantine fortress built by Emperor Andronikos Komninos on top of the ruins of an ancient Pelasgian wall. The archaeological museum with finds from the Archaic, Classical and Hellenistic periods. 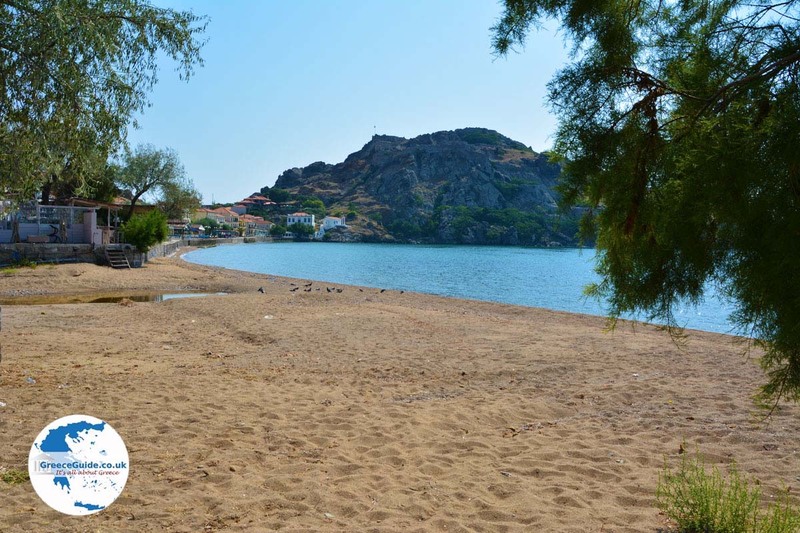 You can swim at the beaches Romaikos Gialos, Mikros Gialos and Richa Nera. 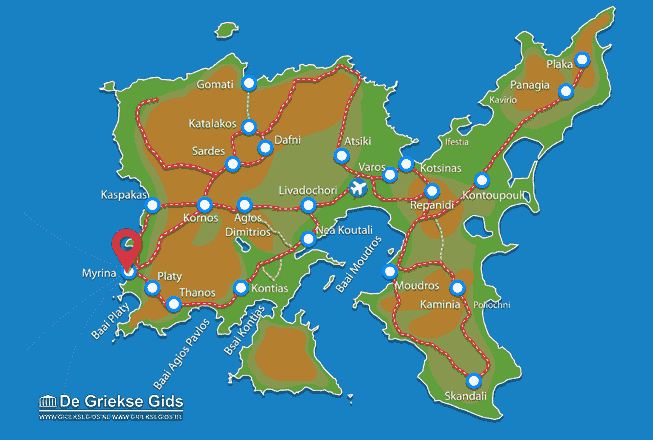 Lemnos: Where on the map is Myrina located?